Even industry leaders occasionally fall ill and suffer through lost savings and efficiency. Whether your company is in need of short or long-term support, an independent procurement contractor could prove the perfect treatment. Misconceptions, however, still keep many organizations from leveraging the skillsets and expertise of these talented individuals. 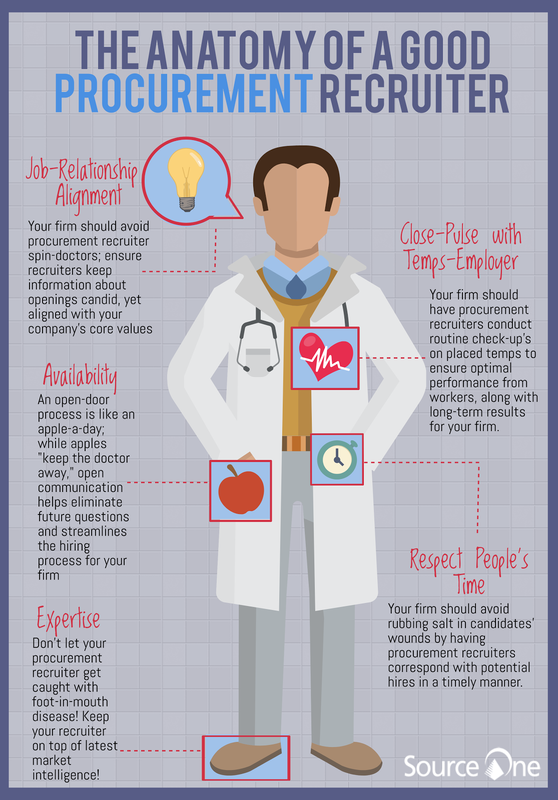 Supplementing your efforts with a dedicated procurement recruiter should help dispel these misconceptions, diagnose your company's needs, and identify the right treatment. Here are some qualities to look for when selecting a recruiter for your business. The right recruiter will accurately determine your organization's symptoms to prescribe the appropriate candidate. Soon, you'll enjoy a clean bill of health with renewed savings, reinvigorated efficiency, and a replenished company culture. Source One's staffing experts can help you locate the right procurement recruiter to encourage a quick recovery or help maintain healthy practices. Contact us today for an assessment from the very best.